If you follow my Week in Books posts, you ma have noticed me tearing a streak through Basil Thomson’s Inspector Richardson series earlier in the summer, and I’ve been planning to write about them for a while. As this is my first week away in the USA, I though now might be a good time to post this – as I’ve no idea how busy I’m going to be – and whether I’ll be able to keep normal service going on here! 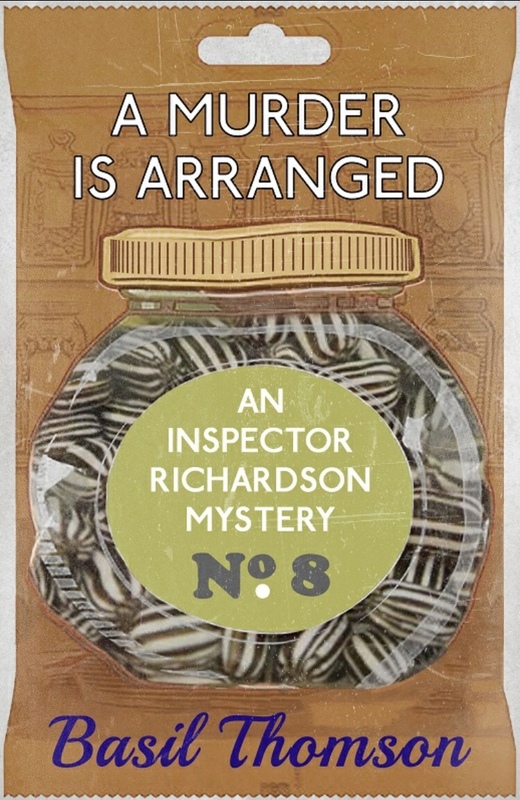 The eight books in the Inspector Richardson series follow the titular policeman as he rises through the ranks, from police constable in the first book, into the detective branch and all the way up to the giddy heights of Chief Constable. They were originally published between 1933 and 1937 – which makes rather a rapid rise for Richardson – and fit nicely into the Golden Age of murder mysteries that I love so much. These aren’t as complicated in plot terms as some of their contemporaries, but they are fast-paced and very readable. The first book sees an estranged couple murdered on the same day, later stories feature diplomatic intrigue, the drug trade, a suspicious suicide and smuggling. As he rises through the ranks, Richardson becomes more of a supervisory figure, but there are some themes that run through the series – and which get pulled together nicely in the final book in the series, A Murder Is Arranged, which I think might be my favourite of all. What makes these a little bit different from most of the other mysteries of the time that featured a police officer as the detective is that the author, Basil Thomson was a former Assistant Chief Commissioner at the Metropolitan Police and a former head of their CID department. So the police procedural detail in this is drawn more from real experience from many of its contemporaries. Martin Edwards has written an introduction for this latest batch of reissues that tells you a little bit about the author and the context of the books at the time – although it doesn’t mention some of the more dubious aspects of his life that are in Thomson’s Wikipedia entry. However as Thomson’s been dead since 1939 I felt ok buying the books because its not as if I’m lining his pockets! I wouldn’t suggest making these your starting point if you want to dip your toe into the world of inter-war crime novels – but then i find it hard to see beyond Peter Wimsey for that – but if you’ve exhausted Sayers and Christie, these are easier to get hold of than Margery Allingham can be and are worth a look – along with more well known authors like Josephine Tey and Patricia Wentworth and are more affordable than some of the other more forgotten authors that British Library Crime Classics have been republishing*. The first book in the series, Richardson’s First Case is available for 99p at time of writing on Kindle and Kobo and the rest of the series are at a similar price point so if you like it, it’s a fairly cheap way of passing a few hours! *See BotW posts on The Cornish Coast Murder and The Sussex Downs Murder (both by John Bude), Christopher St John Spriggs’ Death of an Airman and Christmas compilation Silent Nights if you want more on some of these. A short and sweet BotW post this week. I didn’t finish as much as I wanted last week – and some of what I finished was never going to be a contender for a slot here. But the Cornish Coast Murder perked me up at the end of the week and snuck in under the wire. The Cornish Coast Murder sees an armchair murder mystery novel enthusiast with an actual real life crime on his doorstep. Reverend Dodd and his friend Dr Pendrill meet up once a week to talk detective fiction and open their latest delivery from the library. But one night during their chat, a panicked phone call comes through from a neighbour, Ruth Tregarthen saying that her uncle has been shot. There are no obvious clues and the police seem baffled so Reverend Dodd starts to help investigate the crime using his knowledge of crime fiction to help him. This is the first in the Inspector Bigswell series – and the second John Bude* that I’ve read. This is a nice fun read – but it’s not as complex or ingenious as some of the authors that Reverend Dodd reads with his friend. 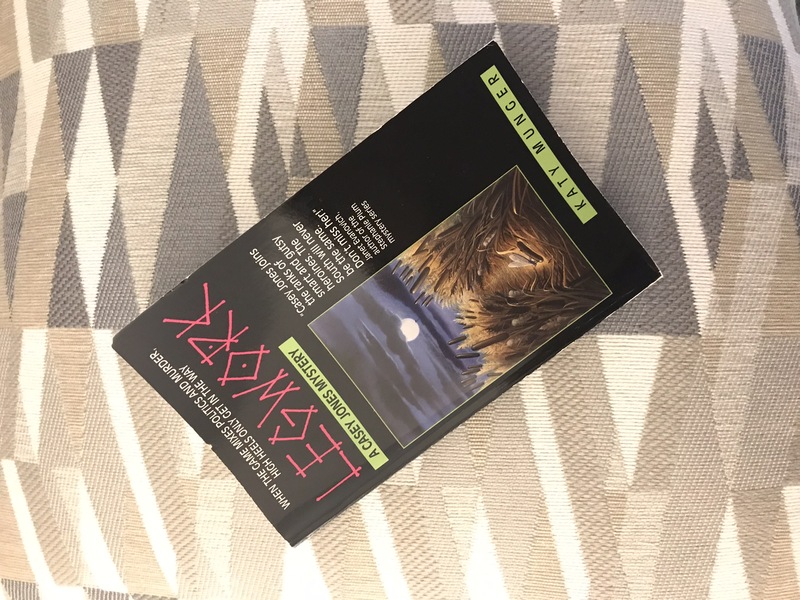 I had a fair idea where it was going – and although I wasn’t entirely right it meant that I wasn’t as entirely gripped as I am with some similar books. But this was Bude’s fist book so perhaps that’s not surprising that it’s not perfect – and certainly the other Bude I’ve read (the Sussex Downs Murder)* was more complex – although the solution to that is rather cliched now. Anyway – it’s an enjoyable read and a if you’ve got an interest in Golden Age crime novels it’s well worth a look. My copy of the Cornish Coast Murder was the rather pretty British Library Crime Classics edition – so you may well be able to find it in your local bookshop. I’ve certainly seen them in various Waterstones. The Kindle edition is free if you’re in Kindle Unlimited or it’s £2.99 to buy. *Editors note: I realised after I posted this that Sussex Downs was also a BotW – back in June last year. I am nothing if not predictable!